Growers hope this season’s strawberry crop hasn’t been harmed by recent cold snaps. Image: Huhn Strawberry Farm. The aftermath of a polar vortex-laden winter has Midwest strawberry farmers waiting to see if the cold and snow harmed this season’s crop. Now that daily temperatures are starting to regularly rise above freezing, any damage to this year’s supply of the popular fruit can be determined, said Carlos Garcia-Salazar, a small fruit educator at Michigan State University. The sweet red fruit favored in jams and pies is a perennial, or a plant that re-emerges from soil each year even after harsh winters – like the one that just affected the Great Lakes region. Midwestern strawberry farmers take timely precautions with their plants. Perennials persist in growing every spring, but farmers want to ensure strawberries become plump and gain their signature bright red appearance. 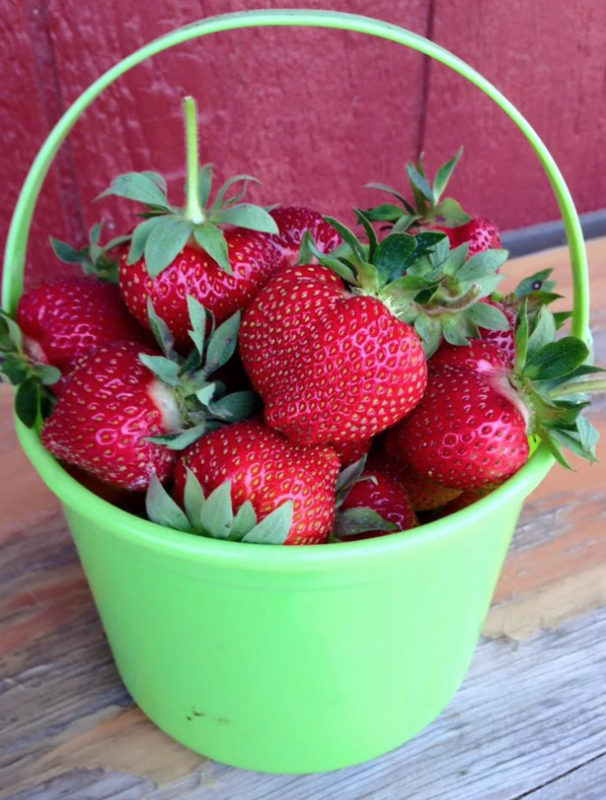 To do so, strawberry farmers closely monitor the previous season, winter cold snaps and spring freeze chances, said Mark Longstroth, a fruit educator at Michigan State University Cooperative Extension. Proper hydration last fall was a key factor to the upcoming season’s success, he said. Then a mild December allowed strawberry growers to put mulch and straw on top of the plants to insulate them from winter weather. Areas that experienced lake-effect snow were in luck, he said. On Michigan’s western side, heavy lake-effect snow accumulation covered up the plants and acted as an insulator. Farmers on the eastern side of the state had to rely on the mulch covering, but the western side could utilize snow. “Even though it’s really cold in the area above the snow, the temperature above the ground is much warmer,” Longstroth said. The most crucial time to protect strawberry plants is about now, just as the season transitions to spring. Growers worry about spring frost because the plant’s flowers bloom early on. “If we get a freeze, it will kill the flowers and then we won’t get a strawberry,” Longstroth said. Christina Huhn, an owner of Huhn Strawberry Farm in Eagle, Michigan, removes mulch and straw from the berries in April, when things start to green up. A common method is using a sprinkle-irrigate system to distribute water to cover the strawberry flower buds. Farmers run the irrigation system in the mornings and evenings, when it’s below freezing, to create ice that encapsulates the plant. “If it gets below freezing, we turn the sprinklers on,” Huhn said. The ice layer won’t harm the plant as long as temperatures are closely regulated. Flower buds and emerging berries won’t be affected unless temperatures dip low and fast. “As long as they keep that ice wet, the temperature of the ice stays right at 32 degrees, and the flowers really aren’t killed unless it gets down to 28 degrees,” Longstroth said. If growers in states like Michigan don’t take these precautions, Michigan’s strawberry output could be harmed in a number of ways, Longstroth said. Berries could emerge misshapen, oddly-colored, smaller than usual and in low quantities. If that happens, large states California and Florida — the top two strawberry producers in the U.S. — step in. “Most of the strawberry farms we have in Michigan are fairly small strawberry farms,” Longstroth said. Those are just for the local market. Consumers are inclined to purchase locally when there’s a productive crop.